Why would I need self storage in Leesburg, VA? There are a variety of reasons why you might need self-storage in Leesburg, VA.
How much is a storage unit in Leesburg, VA? The cheapest storage unit in Leesburg, VA is $87.00 per month. What size storage units do you have available in Leesburg, VA? In Leesburg, VA we have sizes that range from 5'x10' to 10'x20' to suit your storage needs. How much is it for a 5'x10' storage unit in Leesburg, VA? The cheapest 5'x10' storage unit in Leesburg, VA is $87.00 per month. Leesburg is a vibrant city in the Washington, D.C., metropolitan area, part of Virginia's Loudoun County. It lies 15 miles northwest of Reston and 33 miles northwest of Washington. The city's Historic District, recognized by the National Register of Historic Places, retains an old-fashioned charm that attracts many tourists. The Washington and Old Dominion Railroad Trail is a popular spot for hikers, joggers and cyclists, and provides a scenic tour through the area. Other popular attractions in Leesburg include the Rust Manor House and Nature Sanctuary. Nicholas Minor founded Leesburg sometime before 1755, when he built a tavern on land at the juncture of Potomac Ridge and Old Carolina roads. He named the settlements that grew around the tavern George Town. The establishment of a local courthouse in 1758 saw the area's population growing at a more rapid pace. Also that year, the Virginia General Assembly officially established the town, calling it Leesburg. The town has experienced its most significant growth in the latter half of the 20th century, evolving from its rural roots into a bustling suburb of the D.C. metro area. Leesburg has a diverse economy, with more than 1,400 local employers representing a wide variety of industry sectors. Retail is the city's largest business sector. A significant number of retail jobs can be found in Leesburg's large shopping centers, including Leesburg Corner Premium Outlets, Village at Leesburg and Battlefield Shopping Center. Public administration, health care, education and the professional and technical services sector are also important industries for Leesburg's economy. If you're looking for a job in the public sector, you'll find the greatest number of options with Loudoun County, Loudoun County Public Schools and the Federal Aviation Administration. Other major employers include Mastec Services, Target and Wegmans. No matter what industry you're exploring for work, the low unemployment rate and healthy economy in Leesburg bodes well for your job search. Leesburg schools are overseen by Loudoun County Public Schools District, located in Ashburn. There are also several private schools in Leesburg, many of which are Christian-based campuses. Utilities: Major utilities providers in Leesburg include Dominion Energy, NOVEC, Washington Gas and the city's utilities department. Garbage and Recycling: The city provides free trash, recycling and yard waste collection services. Bulky items will also be collected upon request. Leesburg is divided into four collection zones, with each zone assigned a specific pick-up schedule. Transportation: Loudoun County Transit facilitates a number of public transportation options, including commuter bus service, local bus routes and the no-cost paratransit service. Personal Vehicles: You'll need to update your driver's license and register your vehicle with both the state and Loudoun County. 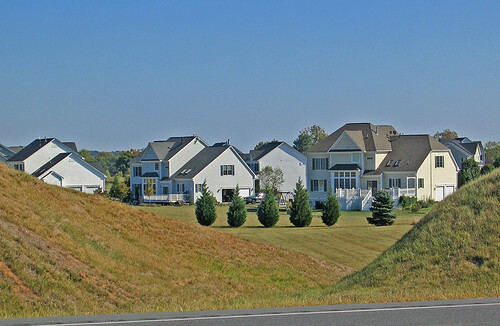 Leesburg has a number of large single-family homes with lush lawns that provide plenty of space for children and pets. The majority of local homes were built in the 1960s and 1990s, though many have been renovated inside and out for a more modern feel. Home prices in Leesburg are significantly higher than the national average, but that's not surprising considering its convenient location in the D.C. metro area. Our lowest priced units in Leesburg, VA average $87.00 per month. 28 people have reserved units in Leesburg, VA in the past 30 days. 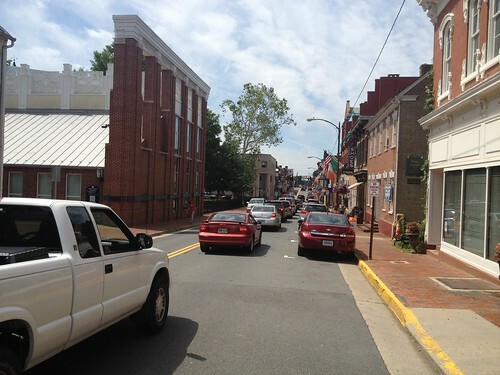 There is 1 location within Leesburg, VA's city limits.